A stress echo test provides specific information about the function of your heart muscle and valves at rest and after exercise. 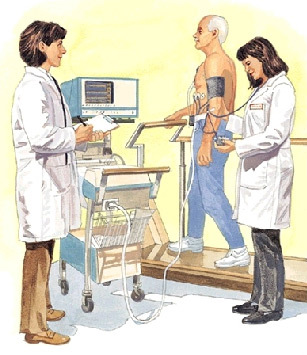 After the resting images are taken you will proceed to the Exercise Stress Test part of the test and be required to walk on a treadmill. The stress echocardiogram is reported by a cardiologist and the report is dispatched to the referring doctor on the next business day to when the procedure was done.